The Lehigh Gorge is a PA Scenic river way that should, in my view, be added to the National Wild and Scenic program. The river runs north and south, and covers many miles of terrific trout habitat. 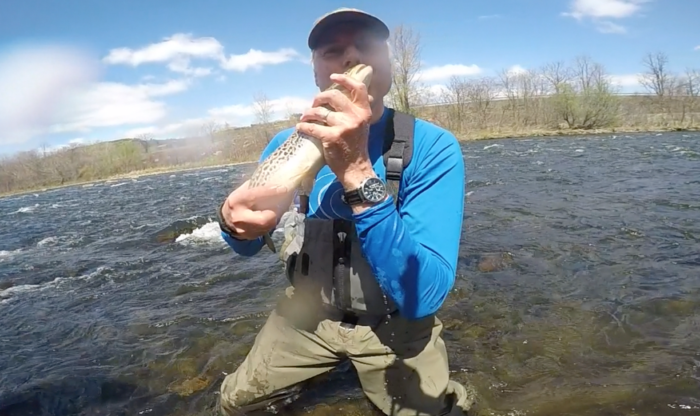 I lead a group that stocks trout in the Lehigh River and leads many conservation projects to help clean up the coal legacy that has impacts on the river, while also monitoring water quality. Trout stocking in the spring is a joy for me as well as for the trout we are releasing.